Inner Revolution is a yoga studio for beginners to experienced yogis. Please come in and join us for a class! See Inner Revolution being featured on CTV! Strengthening the connection between your mind, body and spirit‬. Being inspired by who you are, and what you’re capable of. Becoming the best version of yourself, inside and out. I can’t do yoga because I am not bendy? That is why we do yoga to become more bendy. Yoga is a practice. It takes practice. I am not a super model in yoga pants! Neither are we. Yoga is for all shapes and sizes. Yoga makes me fart. Yes it does. You will experience the “I have to fart what do I do.” Try not eating 2-3 hours before your practice and use the washroom before you start. 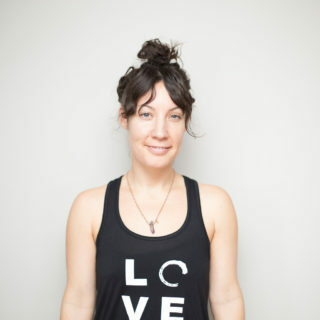 What do I wear to yoga? Anything that allows you a full range of motion and that you feel comfortable in. What do I bring to yoga? A yoga mat, a water bottle, yourself. Do I wear sneakers or socks in yoga? No bare feet on the mat allows for you to open the toes and will help you grip the mat. Rubber souls of sneakers will ruin your yoga mat. I am not religious or spiritual can I still do yoga? Of course. Yoga is about connecting to your body through breath. It can be spiritual but it does not have to be. What if I fall asleep during shavasana (pose at the end of yoga)? That is ok the teacher will wake you up when it is time to go. How do I find time for yoga and the gym? At Inner Revolution we have lots of classes on our schedule to help you fit both in! How often should I practice yoga? As much as you can. You will see the benefits of yoga 1 a week but for optimal results 3-7 times a week.